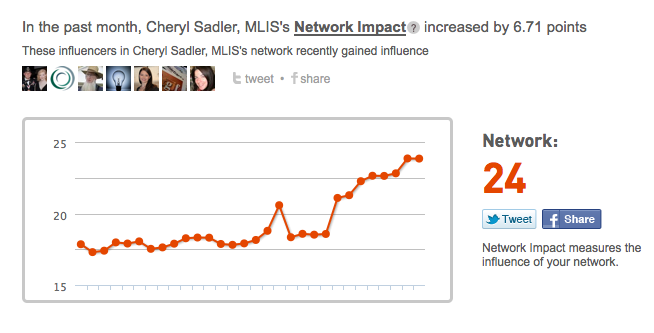 Is Klout really ‘the standard for influence’? 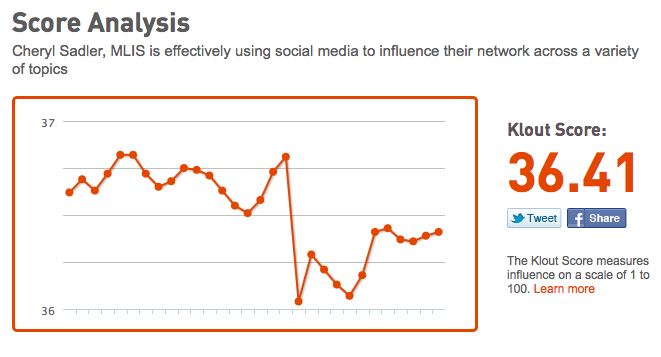 I don’t want to just seem bitter about the drop in my Klout score when Klout changed how scores are calculated. But, boy, did my score take a hit. What confuses me about the calculation is the emphasis on quality over quantity. Surely having interactions of higher quality is more important in social media engagement than just the sheer number, but how does Klout determine quality? I have two Twitter accounts — thus, two Klout scores. The Klout score associated with the Twitter account I use for my job — which includes quite a bit of social media — dropped several points. The Klout score associated with my social account is significantly higher (36 vs. 47, as of early Wednesday). I use my professional Twitter account much more than my social account, posting tweets with links and information about happenings in the news and around the newsroom. I post dozens of tweets a day on my professional account. My social account, on the other hand, might see dozens of posts a week — and that probably will only happen if I’m checking in to Get Glue or conversing with my friends. Posts associated with my professional account are of much higher quality — breaking news, published articles, blogs, infographics, weather alerts, scanner traffic, etc. Isn’t all of that more valuable than the book I’m reading or a restaurant in Columbus I want to go to? The latter examples might spark conversation with my Twitter friends — both my IRL friends and those I only know through Twitter — but the former examples certainly are worth more, right? At least, that’s what I’d like to think, or else I’m going about using Twitter in my professional life all wrong. I would really like to see Klout linked with bit.ly, a service I use 90 percent of the time I want to shorten a URL or link someone to another website. View my public timeline to see how many clicks my shortened URLs get. Yes, some of them get the big ol’ goose egg, but just recently, the links I shortened in a week’s time had nearly 2,000 clicks. 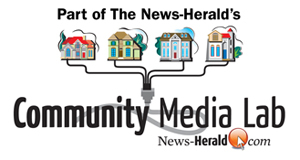 Often the links I shorten are posted in multiple places (such as my Twitter account, my newsroom’s main Twitter account, my newsroom’s Facebook page, within text on blogs and stories on my newsrooms website, etc. ), but that 2,000 clicks sure shows the reach I can have through multiple networks. That big drop you see in the graphs is from a day about two weeks ago when I wasn’t at work and had an obligation that kept me busy and away from technology for the entire day. The drop looks a lot more dramatic than it actually was because my score has stayed in the 36-37 range for the past month. But it’s kind of incredible that I haven’t been able to recover from taking one day off from Twitter. What happens when someone goes on vacation? Becomes ill? Stops tweeting for the weekend? Do you really have to be connected 24/7 to just maintain your Klout score? ReadWriteWeb published 17 alternatives to Klout, so those might be worth investigating if your social media reach is important to your professional or personal life. Klout calls itself “the standard for influence,” but it’s really just one way to measure the reach of your social media accounts. I want to mention that — for all my complaining in this post — I think Klout’s perks are neat. I like the idea of getting rewards and special offers from companies just because you have obtained a certain Klout score. If you’re on Klout, be sure to check these frequently because they “sell out” after a specified number have been claimed. Right now I’m working on ordering custom mini business cards from MOO, and all I will have to pay is shipping. Pretty cool.